At the end of a round of Coire Lagan. 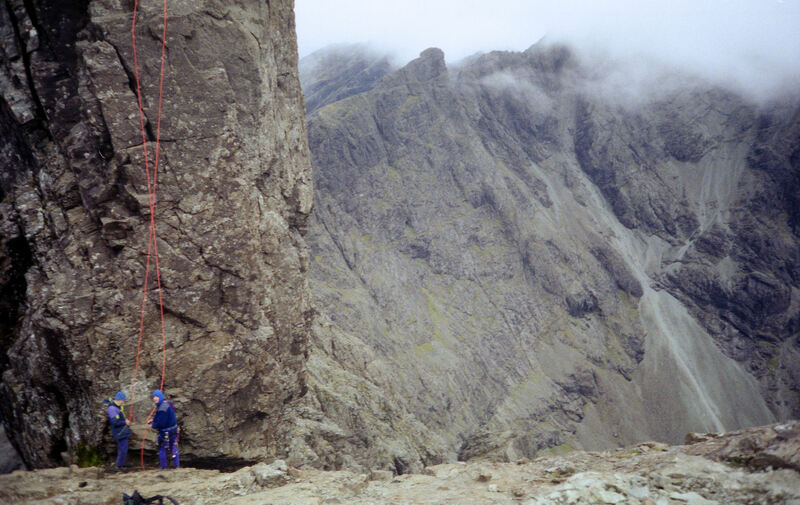 We'd just come off the Pinnacle and a passing walker grabbed the chance of a rope to help his ascent of this tricky top. After a mainly sunny and calm day the clouds were moving in and the wind atop the pinnacle was getting slightly disconcerting.